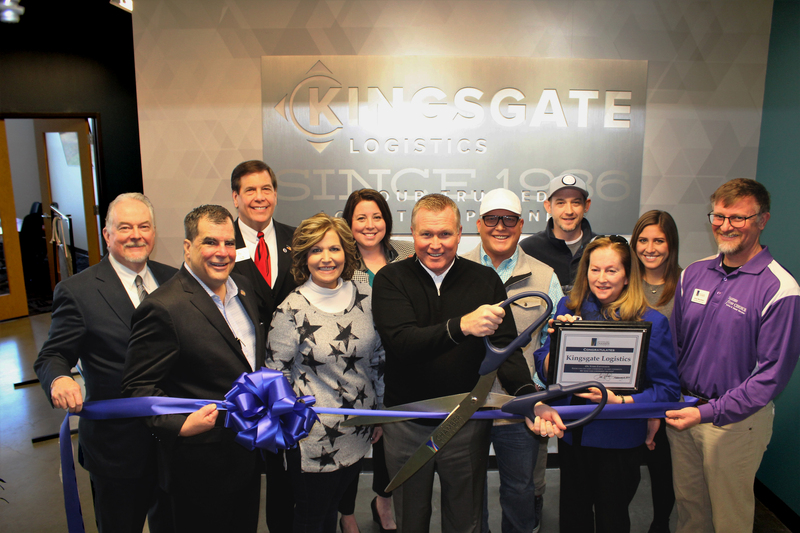 Last Friday, February 8th, the Kingsgate Family welcomed the West Chester Liberty Chamber Alliance and several elected officials into the new space in our headquarters – The Bunker. As Kingsgate grows, we wanted names for each floor of our headquarters as well as our satellite offices. We had a company-wide naming competition, and my brother, David, suggested the “Command Center” and “The Bunker” for our two floors. These military-themed names fit the two functions of our HQ perfectly. Kingsgate Logistics’ third-floor is referred to as the Command Center, used to provide a centralized command to the rest of the company. Under the Command Center is our second-floor space, The Bunker, home to our operations and sales teams. A bunker must be strong and difficult to destruct, and the Kingsgate Bunker is no different. It is where our team is able to set up, get down to business and get the job done. Traditionally, a bunker is used for protection and our bunker is meant to represent the protection your freight will have when it is in Kingsgate’s capable hands. Kingsgate’s growth has been a result of hard work, strong and long-lasting customer relationships and connection with trusted carriers. My family is beyond proud of how far we have come and sees nothing but a bright future ahead. Thank you to every single one of you who have supported us along the way!